Happy New Year -- Chinese New Year, that is. 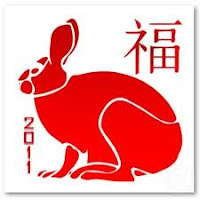 This is now the year of the Rabbit. My daughter's baby boy was due today, but he was in a hurry and was born last Monday -- which means he was born in the Year of the Tiger!